Click on Tony Di Terlizzi's photograph to link to his web page! I was first introduced to Tony Di Terlizzi while waiting for a flight a few years back. 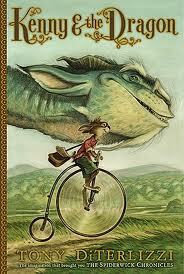 The young traveler beside me was readingone of the books in the series, The Spiderwick Chronicles. When the glamourous lives of the rich and famous could no longer keep my attention, I struck up a conversation with the young man about the book in which he was so engrossed. He informed me that this was his fourth reading and that if I liked I could borrow it while he went to the food court. 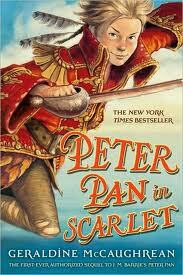 While I liked the book (I did read a few chapters) very much, I was really drawn to his illustrations. I have always been attracted to the absurd and Di Terlizzi's drawings were so full of expression and fantasy that they stuck in my mind for some time. Years later I was reading for a children's picture book class and came across Di Terlizzi's Caldecott Honor book, The Spider and the Fly (2003), his winning adaptation of the old poem by Mary Howitt (1829). I fell in love with the macabre yet comedic tone of his illustrations: fly meets spider in 1920's era black and white silent film - fantastic! When I looked more deeply into Di Terlizzi's work at that time, I was surprised to discover the connection to the Spiderwick book from so many years before. Admittedly, as I research more deeply into Tony Di Terlizzi's work, there is some art that does not catch my interest as much. I like his illustrations for the various Dungeons and Dragons magazines and books and even the fantasy card game, Magic: the Gathering. They are beautifully detailed and obviously a perfect match for that genre, but just not my preferred example of his illustration style. I prefer those illustrations that combine more expression and even humor. 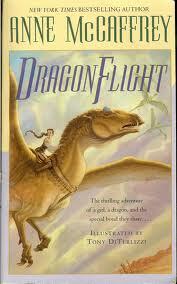 The artwork in the Spiderwick Chronicles books, his adaptation of Anne McCaffrey's Dragons of Perth series, and of course, the Caldecott Honor book, The Spider and the Fly (2003) are my favorite examples of his style of illustration. 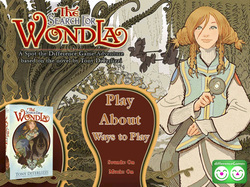 I was even more intrigued to learn about the interactive aspects of his newest book, The Search for Wondla (2010). It has a very impressive use of traditional medium's of art combined with reader-activated technology. 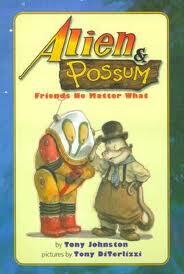 I am eager to find a copy of this book soon for my own classroom. I feel that Tony Di Terlizzi's artwork would be valuable in a secondary education classroom as many students are already familiar with his work. 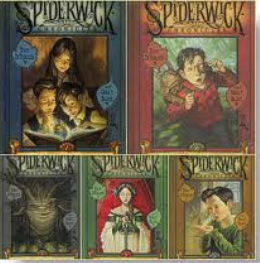 If they have not read the Spiderwick Chronicles as middle schoolers, students are most likely to have seen the film adaptation of Book One of this series. 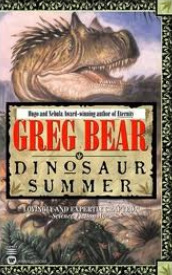 While the books he has authored with his wife, Holly Black, or solo can be used in many classrooms, I feel that the best use would be as a way to connect literature with images: perhaps have students use creatures from his Field Guide to populate their own stories; use scenes from various works as jump-starters for creative writing, expository writing, or poetry. The fantastical nature of DiTerlizzi's work makes it pefect to help ignite imaginations and I can envision using his illustrations to foster creative thinking. What would happen if a sprite were to enter the hallways of a contemporary American highschool? Dragons in a concrete jungle? Very interesting, indeed! * Be sure to check out the resources and links below!